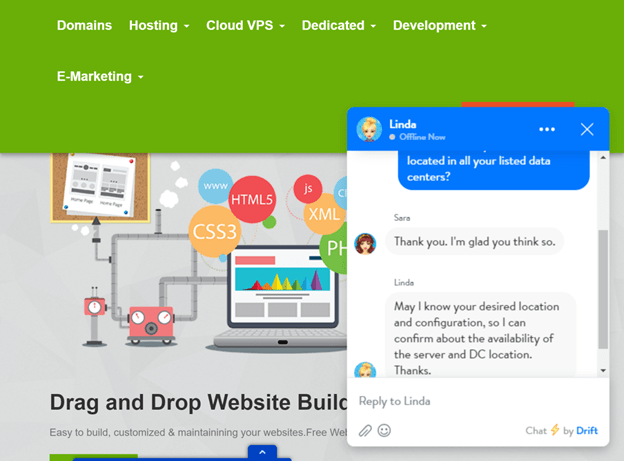 Insight Web Hosting Review 2019: Is Insight Web Hosting a Good Hosting? INSIGHT Technology provides clients all over the world with a wide range of hosting services that includes domain hosting, cloud VPS, and dedicated servers. INSIGHT Technology has data centers in the U.S., U.K., and Hong Kong, enabling the web hosting company to provide versatile and comprehensive web hosting for businesses of all sizes. It currently serves over 8,800 happy customers and maintains a high customer satisfaction rating. The company’s website is in English. The company offers four shared hosting plans that all come with RAID10 SSD storage, the JetBackup manager, and free SSL certificates. If you’re looking for a Windows shared hosting provider, you’re in luck: you’ll have your choice of either Windows or Linux with INSIGHT Technology. You’ll get the easy-to-use cPanel control panel to simplify the management of your hosting account and website. Under this control panel, you’ll also have the Softaculous one-click installer. This allows you to swiftly and conveniently install web applications and CMSes such as WordPress, Drupal, Joomla, and many more. Moreover, INSIGHT Technology’s free drag-and-drop RVsitebuilder further complements its suite of beginner-friendly features. With it, anyone can quickly set up a completely functional website in just a few minutes. Since the entry-level shared hosting plan comes with 1GB RAID10 SSD disk space and 10GB monthly data transfer, I can comfortably conclude that the company’s plans are fairly priced. Although there isn’t a free trial period, you can take advantage of the company’s 30-day money-back guarantee to test its services. Only the two high-end plans (Business and E-commerce) have monthly, quarterly, semi-annual, annual, and biannual billing terms available. The other two (Personal and WordPress) have annual or biannual billing terms only. If you’re lucky enough to get a promo code, you can use it during the checkout process. Payment options include PayPal, debit, and credit cards. INSIGHT Technology prides itself on its 24/7 technical support. There’s multi-channel support for billing and sales, but this is only available during business hours on normal working days. Other than that, the company offers support through tickets, live chat, phone, and even social media. INSIGHT Technology has a knowledge base section, but it contains very few items on shared web hosting (or any other sort of hosting, for that matter). After seeing their great customer satisfaction rates, I had to test it out for myself. I submitted my queries through live chat and found myself talking to a chatbot instead of a real person. Despite this, however, I was satisfied with the experience, as it was a fast way to get answers (especially since the knowledge base wasn’t at all helpful). onClick="trackClickout('event', 'clickout', 'Vendor Page - Visit User Reviews', 'Insight Web Hosting', this, true);"
I'm a big fan of Joomla and INSIGHT WEB HOSTING is great for me. It is cheap and I get a lot of tools to play around with – some and I haven't even used yet but still. A generous host that haven’t let me down in any way. I have been profoundly impressed with their high level of expertise and consistently friendly, personal service. There are no hidden charges as well with INSIGHT WEB HOSTING. I hope that they'll keep this up. It is great and good web hosting provider. Thank to this web site I was able to created so nice web pages. It's very easy to use it and add pages, photos, articles... The servers are fast. INSIGHT Technology offers vibrant, reliable, and high-performing hosting services to its customer base. Though customer support could definitely be improved, it’s still above-average from what I’ve seen in the market. Affordable High-Performance Hosting at Insight Web Hosting! 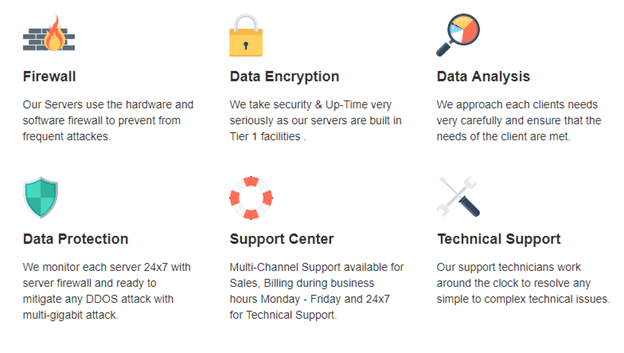 Wondering how Insight Web Hosting stacks up against other Web Hosting companies? Enter any other Web Hosting company and we will give you a side-by-side comparison.